Cut the poster board to the size and shape of your choice. 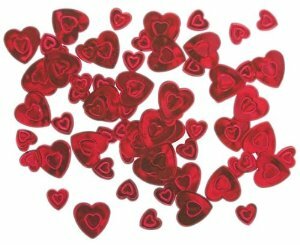 Glue the scrapbook paper and photo onto the poster board and allow to dry. 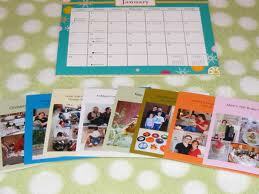 Tape the calendar template onto the poster board. As each month comes to a close, you can easily remove the template (save it in your scrapbook!) and replace it with a current one. Each evening, write a note in the proper square about something you and your child enjoyed together today. Leave us your comments. Your feedback is greatly appreciated. Let us know what other topics you would like to have covered. Share this post with your family and friends. Praise your child. Paint the Styrofoam ball and allow to dry. 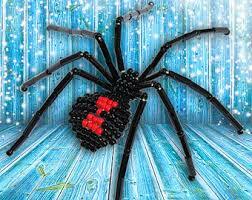 Stick the ends of eight pieces of pipe cleaner into the Styrofoam ball as legs. Attach googly eyes using glue and allow to dry. Leave us your comments. Your feedback is greatly appreciated. Let us know what other topics you would like to have discussed. Share this post with your friends and family. See more great Halloween ideas. You can cut out and glue on any felt shapes you like! Find old school inspiration for your designs at vintagehalloween.com. Turn the pillowcase inside out. Line the top with a 4′ long piece of ribbon, fold the top over the ribbon and sew in place to create a drawstring. Turn the pillowcase right side out and cut the shapes of a cat’s face, ears and eyes out of the felt. Glue the cat’s face onto the bag and allow to dry. Leave us your comments. Your feedback is greatly appreciated. Let us know what other topics you would like to have discussed. Share this post with your friends. Check out more hands on ideas. Paint the front of the bag with chalkboard paint and allow to dry. Line the edges of the bag ( and the handles, if you wish) with ribbon by gluing it on with fabric glue. Allow to dry. 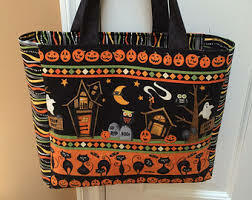 Draw a haunted design onto the front of the bag using chalk. Leave us your comments. Your feedback is greatly appreciated. Need even more craft ideas? Let us know what other topics you would like to read about. Share this post with your family and friends. 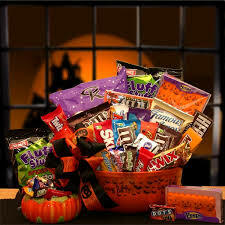 Decorate a large basket and use it to hand out candy at your door. Cut shapes out of the felt. To make your basket look like an animal, such as an owl, cut out the shapes of the eyes and beak. 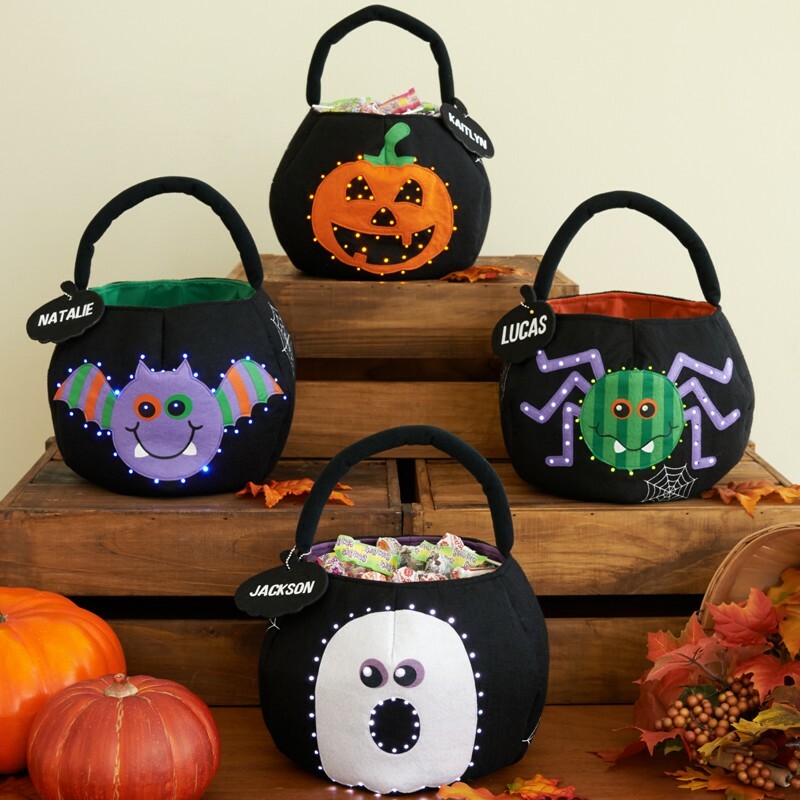 To decorate your basket with creepy critters, such as bats, cut out a few critter-shaped pieces of felt. Glue the felt shapes onto the basket using Tacky glue and allow to dry. Then embellish with feathers and glitter glue. Allow to dry. Leave us your comments. Your feedback is greatly appreciated. Let us know what other topics you would like to have discussed. Need more craft it ideas. Share this post with your friends.